A 16 year old Campbeltown single malt Scotch whisky which spent 10 years in a refill bourbon barrel and then 6 more years in a Maderia cask. Flavours of warm honey, dried fruit and malt. A drop of water brings out some delicate herbal notes. 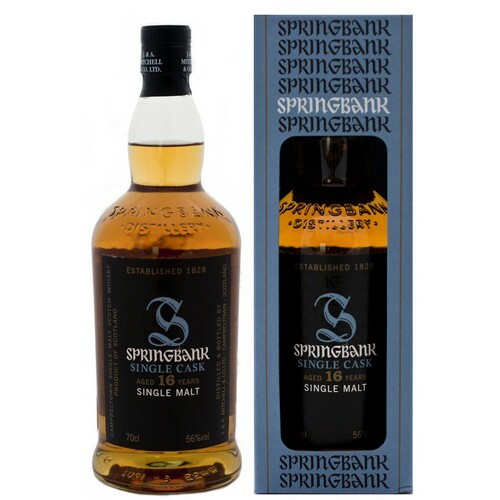 A very pleasing dram, like a good well-made cigar, this has plenty of complexity. The time in the Madeira cask hasn’t oversweetened this whisky, if anything it has reined in a lot of the traditional dirty, malty, salty smoke character and woven it into a complex web of delicousness. This is a dram you want to spend hours and hours mulling over. Easily drinkable at cask strength though a little spicy and vaporous, this on waters well also allowing more of the elements to be investigated at more subtle intensity levels.